Movies have the power to inspire, motivate and influence viewers through cinematics and a story that will immerse the viewers by giving them the opportunity to look through an entirely different world. It’s a great tool to teach and provide information to a huge audience through entertainment. It easily grabs the attention of viewers and leaves them with an idea, a thought or a certain emotion that could spark something that may lead to life-changing situations or aspirations. Here are 15 movies that are great learning materials and a good source of inspiration and motivation for all kinds of entrepreneurs. An ambitious stockbroker, Bud Fox, does whatever he can to make his way to the top. Enticing a powerful and successful broker, Gordon Gekko, to mentor him. With the influence of his mentor and his teaching of greed is good, Fox found himself working towards his ambition through shady business deals and practices. The tides turn against him as a consequence of his actions and he’s left questioning where his loyalty lies. Mark Zuckerberg is known as the creator of the most successful and revolutionary social media platform but is that all there is to it? The Social Network tackles the history of Facebook, from the moment the idea was born in the mind of brilliant university students to the controversy behind how it is what it is today. A movie set in the early 1990s about a penny stockbroker named Jordan Belfort. He establishes his own brokerage firm with his partner, Azoff, and it took off and expanded quickly. However, all the fame and fortune was acquired through questionable schemes and it was only a matter of time before the Wolf of Wall Street finds himself under close watch by the FBI. Ray Kroc, a seasoned salesman, is a hustler. He does what it takes to peddle his wares that were a fad or a novelty item rather than being something that was useful. While trying to sell his five-spindle milkshake maker to existing fast-food restaurants, Ray meets the McDonald Brothers who were in need of someone who could help them with franchising their fast food restaurant. Ray ends up being the head of franchising but due to the differences of principles and the end goal between the brothers and Ray, things end up in a standoff. Being a salesman isn’t easy, especially when the product that needs to be sold is considered a luxury and is much more expensive. Chris Gardner, a dedicated salesman who believes in his product, goes through all this. As he works himself to the bone going door-to-door, life rears its ugly head at him. The movie revolves around Gardner’s struggles and how he overcomes it to provide a better life for his son. The story revolves around Joy, a talented inventor, who was chasing for an opportunity. Selfless, she had given up her dreams in order to provide for her family. One day the idea of a mop that was innovative and practical came to mind, seizing the chance, she sketches her idea to life with her daughter's crayon and proceeds to pitch it and find funds, and ultimately, create it. With a lot of obstacles in her way, Joy powered through it and establishes a powerful family business dynasty. A documentary-styled film depicting the competition of two of the greatest names in the history of Technology, Apple and Microsoft. The movie highlights their rivalry, triumphs and the hurdles that they have to jump over as they establish their business. This movie shows the behind-the-scenes of one of the most influential people in the world of technology and innovation. Giving a sneak peek of how he envisions the world, his ambitions to keep Apple the leader in tech innovations, that directly affects his life and the life of the people around him. A documentary set in the 1990’s, during the internet gold rush; a story between friends in their late 20’s with an ambitious vision of creating a website for people to conduct business with municipal governments. The story shows the struggles and necessities upon establishing an internet startup. Centered around an in-office rebellion that began with Peter Gibbons and his two friends, who hate their company and their bosses, this movie showcases a life of an employee doing a 9 to 5 job and hating every moment of it. He visits a hypnotherapist that hypnotizes him to be worry free of making a living, this makes Peter valuable instead and is promoted, however, his two buddies are laid off. To get back at the company, the three software engineers create a virus to embezzle money from their company and right into their own pockets. A realistic portrayal of how to make a living in high-pressure sales, this movie is centered around the salesmen in the Chicago real-estate office where they’re thrown into a competition with huge incentives; the loser, however, loses their job. This kind of work incentive results in the salesmen using illegal and unconventional schemes just to get to the top spot. Seth Davis, a morally decent, college dropout, attempts to please his judge father by diving into the world of being a stockbroker. He pursues his career with J.T. Marlin and learns his skills for sales over the phone. His goal being a senior broker, Seth works to be a great salesman and earns a huge sum of money, only to find out in the end that the business he was working for wasn’t as legitimate as he thought it would be. Two business executives, Chad and Howard, are on a business trip. They get to know each other during the course of their trip together and end up opening up about bitter exes and the like. They plot to get back at women and find their first victim. As this starts happening Chad messes up with the project they’re handling and puts all the blame on Howard. A feature documentary on an influential man, Tony Robbins, and his life-changing seminar called “Date With Destiny”. This documentary shows the behind-the-scenes of conducting such a huge event and also the amazing transformations of the participants in real-time. In 2008 there was an imminent financial crisis wherein a number of subprime home loans was in danger of defaulting. A Wall Street guru, Michael Burry recognizes this and starts betting against the housing market, throwing over $1 billion of his investors’ money into credit default swaps. This easily grabbed the attention of a hedge-fund specialist, Mark Baum and a banker, Jared Vennet and together, they make a fortune by taking advantage of the collapse of the economy. Fifteen movies to add to your watch list! What do you think? I’m pretty sure you’ll be able to pick up a lot of lessons or bits of knowledge here and there with all these movies. Hopefully, it inspires the entrepreneur inside of you to reinvent yourself or to reflect in yourself on the kind of path you plan to take on as an entrepreneur. Of course, fifteen is such a small number and there are a lot of other movies that I haven’t mentioned (it’s all preference really). 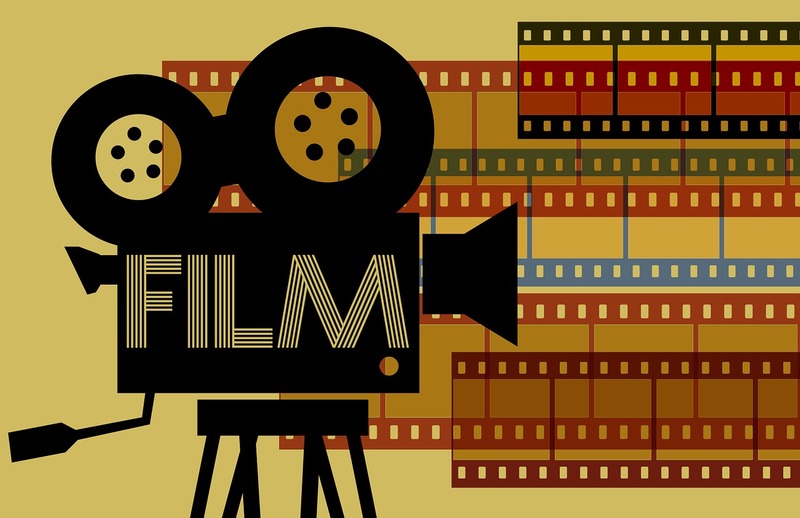 Care to share your favorite movie that left a huge impact in your life as an entrepreneur that I didn’t mention? Tell me about it! I’d love to add more movies to my list of titles to watch. Thanks, Isabella Afable! I've personally seen The Social Network, The Wolf of Wall Street, Pursuit of Happyness and Office Space. I'm gonna try to watch the other movies on your list. I would wanna see The Martian in there sumplace. One stranded astronaut guy vs a hostile environment wants him dead -- with nuthin' gonna help him but grit & ingenuity ... an' a zillion gals hoggin' front row seats, screamin' "Pweeeeeeze don't die, Matty! Pweeeeeeeeeeze! I'm pretty sure majority of the people here enjoy movies, am I right? Not to get in too deep, I think it's really a good way to get in the shoes of someone else's life or experiences. So it's a really good place to draw inspiration and motivation from, and of course, a good source of entertainment. Out of the 15, I really enjoyed The Wolf of Wall Street (can't ever forget the "sell me this pen" scene), I found it fascinating and amazing how quick-witted a person has to be if you really plan on selling something. How they find a connection with their possible customers and drawing them in, and creating a sense of urgency to push people to buy. You can't really learn exactly how to be a salesman or what entirely being a salesman is with just that movie (for all we know it's as exaggerated as almost every movie is), but it's a glimpse of what attitude and what personality you can develop in order to progress in that kind of business. I've rambled on....so I'll stop here. What's your favorite movie that pushed you, or motivated you for your entrepreneurial ordeals? Have you watched all that's on this list? Of course, 15 won't cover everything and I'm sure I missed one or you probably don't agree with some (but hey! Different people, different opinions). So share them! I want to know all about it! THE MUSIC MAN (Prefer old version over remake with Robert Preston) a story of a traveling salesman. He uses EMOTION to get the town folk interested in his wares. Enthusiasm and emotional appeal go a long way, even today on the Internet Marketing circuit. Then, ELMER GANTRY might be a powerful lesson for today, Burt Lancaster's performance is spot on and you'll see many modern "clones" of this charismatic preacher. The movie offers great lessons and understanding in hypocrisy and influence. "If I don't take their money, someone else will, so it might as well be me." PS Maybe that is why you'll find more than a few gurus on lists of FDA, FCC, and with violations and legal battles behind them, caused by their own greed. Movies!!! Have You Seen All 15?